“If everybody had the same face…there’d be no pretty women.” Death Bredon in Dorothy Sayers’ Murder Must Advertise. As part of their Campaign for Real Beauty, Dove announced that according to their survey of ten to seventeen-year-olds, “only 11% of girls around the world feel comfortable using the word beautiful to describe their looks.” This finding is treated as a psychological problem that ought to be solved. Yet is it any worse than lamenting that only 40% of employees think that their work is above average? Any sillier than fretting that only 5% of students think that they are gifted? If all girls and women are “beautiful,” the word loses all meaning as a description of physical appearance. Clearly, Dove wishes to disassociate the word “beauty” from physical appearance, and thereby allow the term to convey that all women are valuable beings. This sounds very positive. Yet the insidious flip side is that it ties a woman’s value to the word “beauty.” Our human brains cannot abandon the old meaning even as we embrace the new one. Women cannot help but look around and notice that (with apologies to George Orwell), “All women are beautiful, but some are more beautiful than others.” Doesn’t this imply that the photo-shopped, glistening lady in that ad for Dove body wash is more valuable than a pimpled mortal like me? Doesn’t it suggest that I had better buy some Dove body wash so as to affirm my human value? What should those girls, 89% of whom fail to describe themselves as beautiful, be told about their looks? Marilyn Monroe said, “All little girls should be told they are pretty, even if they aren't,” but this actually lays a burden on girls. It tells them that they are supposed to be pretty. Eventually they will notice other girls who are prettier than they are. In NurtureShock, Po Bronson and Ashley Merryman report that modern society has gotten it all wrong when it comes to praising children. Studies show that when children are constantly told that they are smart, they actually become less motivated to try anything difficult or new for fear of looking non-smart. In contrast, children who are praised for their hard-work (something that is within their own control) are much more likely to voluntarily tackle challenging tasks. I wonder if these findings apply to how we handle the word beauty. The plain woman of one hundred years ago was supposed to develop her character. The plain woman of today is supposed to develop belief in her own beauty. Unfortunately, neither solution satisfies any woman. Neither is enough. What is the Christian, Lutheran response to a woman’s desire to feel beautiful? It begins, I think, with shocking words. It tells us that although our desire is “natural,” we are corrupted sinners with corrupted desires. Our wish to receive admiration from others? Vanity. Our hope of attracting men? Lust. Our attempt to build self-worth through good characters or well-groomed bodies? Pride. All this is sin, and it leads to death. It demonstrates the condition of our ugly, rotting hearts. It shows us that we deserve the torment of eternal separation from God. It proves us to be hideous beings with no way to save ourselves. Yet the God whose glory is reflected, ever so faintly, in all earthly beauty is not hideous. Through the ugly, terrible death of Christ, He pays the cost of our ugly sins. He washes away our vanity, lust, and pride in Holy Baptism and gives us new life. In Christ, we are beautiful. The beauty that we are given is full beauty, a beauty that fulfills all the meanings of the word, the kind of beauty that is true and real and could never come in well-advertised bottles. Baptism may not give us earthly, physical beauty, but it gives the kind of beauty that is behind our yearning to be beautiful. It frees us from the need to fulfill the current narrow ideal for physical looks. As new creatures, we are free from the demands of Eleanor Roosevelt, Dove, and all the well-meaning people who bury us beneath a load of obligation to make ourselves beautiful through our own efforts. As free women, we have Christian liberty to enjoy the physical world that God had given us and enjoy the earthly beauty that He created. 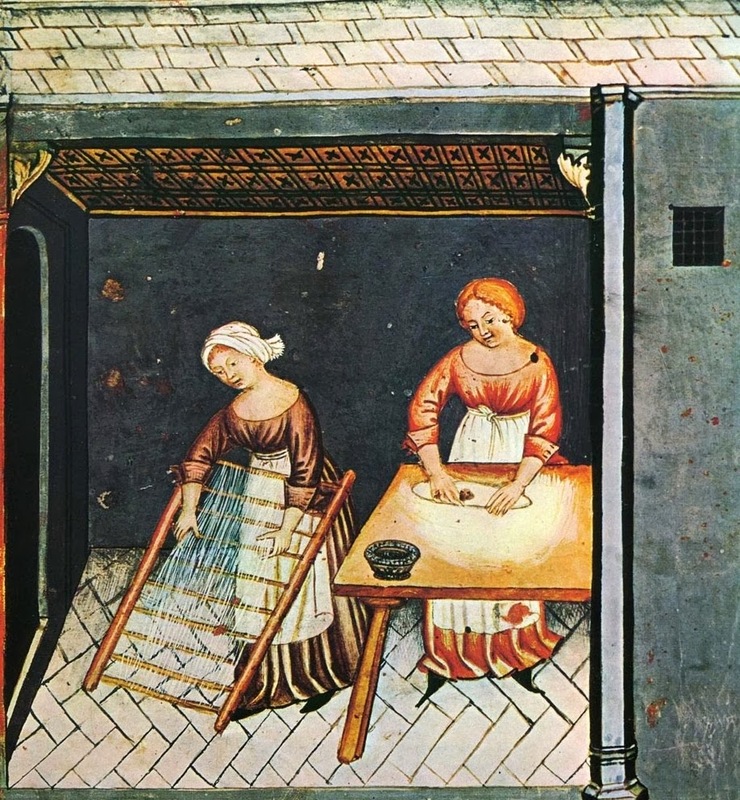 Like Rebecca, Abigail, or Esther, we may use jewelry and beauty products. We may exercise and tone our bodies. In Christ, all of this is freedom. On days when it begins to feel again like a burden, we have a solution. We flee to the cross of Christ, confess our sins, and receive absolution. What a beautiful and glorious thing! P.S. 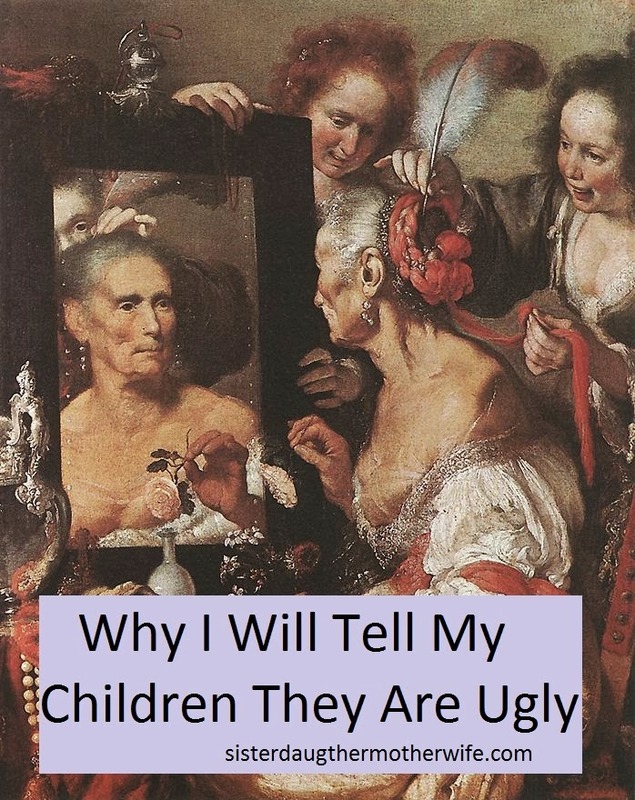 No, I won’t really tell my children that they are ugly. No doubt I’ll think that they are more adorable than anyone else's children. Yet they, too, will be sinners, and I will rejoice that I can bring them to church to experience God’s beautiful gifts of mercy. Because they will need it. Anna writes as often as she possibly can, although sometimes it is with only one hand because her baby son requires the other. After graduating from Concordia Wisconsin she taught in Lutheran schools for several years and became so enthusiastic about Classical Education that she will talk about it to whomever will listen. She is a big fan of Jane Austen, dark chocolate, and the Oxford comma. Anna and her husband live in Pennsylvania. Anna's personal blog is Don't Forget the Avocados. Re-posted with permission from Don't Forget the Avocados. Thank you for writing about this. I think beauty is obviously a topic we as women all relate to in some way. I do believe, like you said, that the desire to be beautiful is natural and that we have corrupted desires. I think we also need to remember that women were inherently beautiful from the very beginning. She being the crown jewel of God's glorious creation. The being who completed everything. God made women beautiful in the beginning, and then restored out beauty through Christ. We love creating beauty and life. It seems to come naturally to us. When we are first married, the desire to attract our man comes easier. As marriage goes on, often what was first on the list in the beginning falls to the bottom. Rebekah, you very helpfully link the desire to be beautiful with the unique relationship of husband and wife and the estate of marriage. That's food for thought. Yes, this is indeed a fascinating topic, all the more so because our culture spends so much mental energy on appearances.